Spanning approximately 500 km, the boundary between Bhutan and China has a lengthy history of territorial disputes. The western section of the boundary was first established during the 19th century between the British and Chinese governments and follows along various mountain ridges. 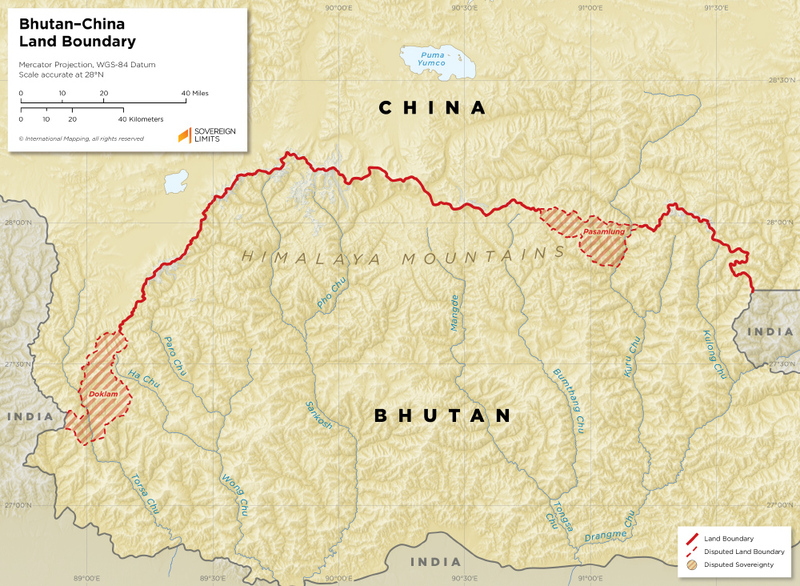 However, the exact course of a majority of the border remains nebulous, which has functioned as a significant factor in the onset of the many territorial disputes between the Bhutanese and Chinese governments. Bhutan and China have asserted numerous opposing territorial claims over the past several decades, but both States’ current claims are somewhat unclear due to conflicting reports regarding these disputes. 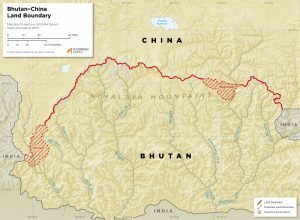 The Bhutanese government contends that there exist four contested areas, while China argues that there are six disputes. Tensions surrounding the dispute over the Doklam region escalated into a standoff between Chinese and Indian forces in 2017. Doklam lies adjacent to India’s Sikkim region, which is a crucial strategic area for the Indian military. Continued Chinese encroachment into Doklam prompted the Indian government to respond with the deployment of troops near the disputed area. Diplomatic efforts have de-escalated the situation; however, the event demonstrated the heightened regional tensions related to border disputes that have been ongoing for the past several decades.